YouTube’s private video sharing feature “Shared tab” that was earlier limited to Canada and North America is now rolling out to all the Android and iOS devices globally. The Shared tab is placed on the bottom bar of the YouTube app. With the Shared tab, users can have single or multiple threads for sharing, liking or commenting on videos. 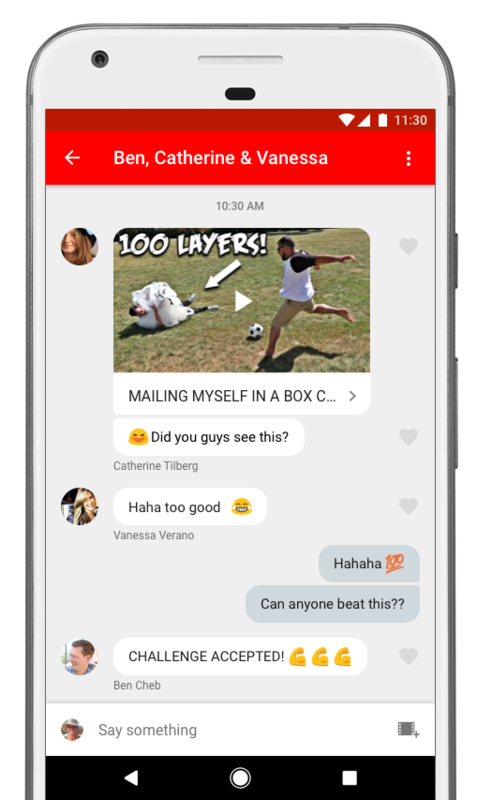 The thread will serve as a chat window where you can share videos with contacts. Sharing videos on the new sharing tab is the same as before. You just need to tap on the “Share” button. The only difference is that now when you tap on the Share icon, it lists several contacts for immediate sharing. You can also choose multiple contacts within the panel. After selecting the contacts, you also get a text window to caption your message. After hitting the send button, a new tab with all the selected contacts is created automatically wherein all the members can share their views on the video, and they can also share a new video. Also, members can like the videos shared on the tab by tapping on the heart icon placed next to the video. This new tab will now be a part of YouTube app on your device. It will make it easier for you and your friends to share videos at one place instead of sending links to every friend one by one. 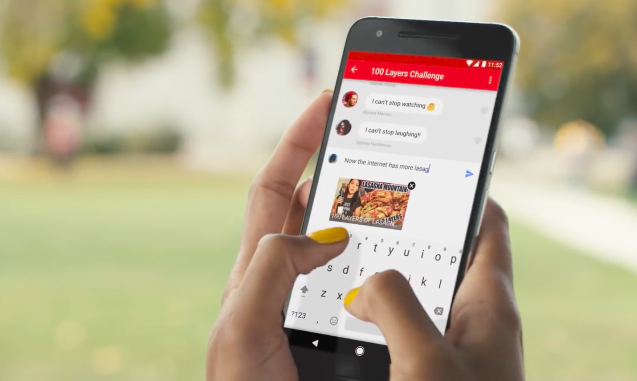 In the blog post, YouTube also notes that it has improved the feature according to the feedback it got from users over the past year. For now, this feature is limited to Android and iOS. We hope that YouTube brings the Shared tab feature to the desktop too.